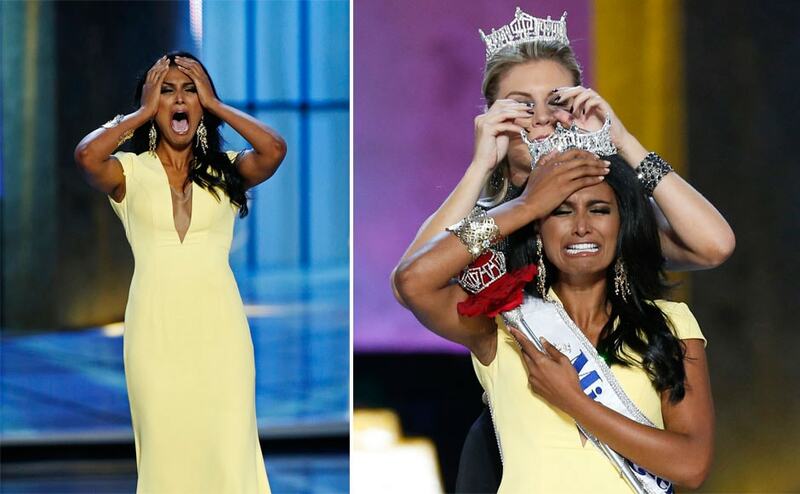 Nina Davuluri made history hours ago as the first Indian American to be crowned Miss America. She is gorgeous, does a mean Bollywood routine, and plans to become a doctor. Move over spelling bees, #DesiPride is gonna rock beauty pageants in malls across America. "I don't agree with plastic surgery, however I can understand that from a standpoint. More importantly I've always viewed Miss America as the girl next door. And Miss America is always evolving... I wouldn't want to change someone's looks. Be confident in who you are." Of course, progress is not exactly a good thing in some quarters. Buzzfeed immediately issued a listicle titled "12 People Who Don’t Realize That #MissAmerica Is In Fact…American," which included such insightful tweets as: "Miss America needs a red dot on her forehead #missamerica"; "I'm not a racist. She is representing America doing an Indonesian dance. If it was a Miss Universe pageant it would have been cool"; "Well, they've picked a Muslim for Miss America. That must've made Obama happy". And for the win: "How can you be Miss AMERICA and look like you should be a gas station clerk or motel owner?". 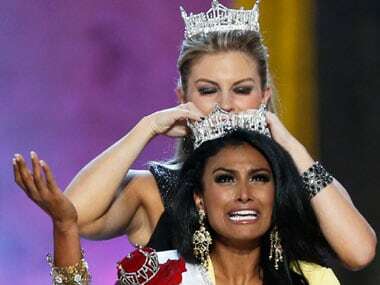 What's interesting is Miss America Nina Davuluri would never win pageants in South Asia because she'd be too dark to be considered beautiful & the same is true for all of those "Miss Indian American USA" pseudo-pageants held here, as well. No darkies allowed in winner's circle. I sat in on weekly individual sessions that dermatologist Dr. Jamuna Pai held with the contestants in order to examine their skin. Every single one of the young women was taking some sort of medication to alter her skin, particularly in colour, in the training programme in 2003. In a disturbingly casual manner, Dr. Pai emphasized the need for all the contestants to bleach their skin by prescribing the peeling agent Retin-A as well as glycolic acid and, in the case of isolated dark patches, a laser treatment. When I asked Dr. Pai, who trained as a plastic surgeon in London, why fair skin was such a concern at the pageant, she offered the following explanation. "Fair skin is really an obsession with us, it's a fixation. Even with the fairest of the fair, they feel they want to be fairer. It isn't important anymore, because the international winners are getting darker and darker.You wouldn't notice our obsession, because you have such beautiful white skin, but I feel it's ingrained in us. When an Indian man looks for a bride, he wants one who is tall, fair and slim, and fairer people always get jobs first. Today, this is being disproved because of the success internationally of dark-skinned models, but we still lighten their skin here because it gives the girls extra confidence when they go abroad." God forbid, we compromise our cultural biases just to win an international beauty contest. Besides, in India, our beauty pageants serve merely as a qualifying exam for Bollywood-dreaming contestants, none of whom would deign to pursue any other kind of career. No wannabe doctors or scientists — well, not since 1966 Miss India winner Rita Faria who refused all modelling and film offers to pursue medical studies. Not like Miss America where this year's first runner up Crystal Lee possesses two degrees from Stanford, a bachelor's in biology and a master's in communication. Her platform is "Women in STEM (Science, Technology, Engineering, and Math)". In any case, it's probably good that Davuluri has no Bollywood aspirations. 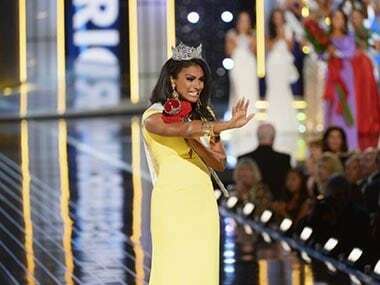 Dance routines aside, even a Miss America crown won't propel Davuluri to a celluloid screen near us — not unless she makes the miraculous colour 'adjustment' achieved by leading Bollywood actresses who have successfully paled into significance. So while we are happy to claim your victory as a NRI achievement, Ms Davuluri, do get cracking on those med school applications. Unless, of course, you go on to win Miss Universe  in which case, we will celebrate your 'dusky' beauty, and issue you eager invitations to Mumbai, ready to greet you with garlands and a lifetime supply of Fair & Lovely.